Jamaica, and the wider Caribbean share some of the lowest savings rates worldwide, says Earl Jarrett, General Manager, Jamaica National Building Society. He adds that that this low rate is linked to the public’s generally limited access to financial services and the lack of a cultural emphasis on saving. Earl Jarrett, General Manager, Jamaica National Building Society. The Singapore based EconomyWatch.com website indicates that Jamaica’s Gross National Savings, as a percentage of its Gross Domestic Product (GDP) in the year 2013 was 15.9 percent. For Trinidad and Tobago the figure was 24.7 percent, while for China it was 47.1 percent. The website estimated Jamaica’s GDP growth rate in 2013 at 0.6 percent, while for Trinidad and Tobago it was 2.0 percent, and for China it was 8.0 percent. Started in 1924 by the World Savings Banks Institute, World Savings Day is used to inform the public about the relevance of saving to the economy and the individual. There is a particularly strong focus on developing countries, where a large percentage of the public is often unbanked. 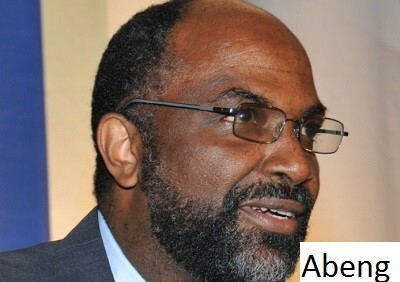 More than three out of every four Jamaicans have limited access to safe and low-cost payments channels, Economist Dr. Dawn Elliott has reported. A comprehensive research survey, which she headed, showed that only 12 percent of the population own the types of accounts which allow them to transfer money, write cheques or make credit card payments. “Most Jamaicans make payments using cash,” the Associate Professor in the Department of Economics at Texas Christian University told a 2011 Mobile Financial Services Conference at University of the West Indies (UWI), Mona. She said Jamaica has a hidden problem as the majority of the population own bank accounts; but only a fraction of this group has access to the financial services, which allow them to participate easily and effectively in the economy. The survey, contracted by Solutions for Society, a think tank of the UWI, showed that 34 percent of the adult population does not have bank accounts; and use cash or non-bank payment outlets at relatively high costs. In addition to this group, she said that almost 80 percent of those who own a bank account cannot make payments easily or conveniently, as they do not own transaction accounts. “The situation facing Jamaica in 2013 comes despite some national efforts to encourage saving,” Jarrett said. A National Saving Committee was established in 1971, and its programme evolved to the point where primary schools across the island had savings clubs, and students learned about saving and money management. Subsequently, Jamaica National started its dedicated School Savers Programme, for basic, primary and high school students. Hundreds of schools and more than 100,000 student savers participate in this programme, which is a direct outgrowth from the seeds planted in 1971. “In May 2001, we developed a special account for children up to 15 years old,” said Denise Gocul, Coordinator, of the JNBS School Savers Programme. She stated that this option was intended to provide an entry point for students into the formal financial system. Studies show that children from a wide cross-section of Jamaican households get cash gifts for birthdays or special occasions, which can be saved. Many also receive allowances and lunch money, portions of which can be put aside for saving. Jarrett said the young students, who learn good savings habits, usually enjoy greater financial stability and success as adults. Likewise, countries with solid savings profiles generally show healthy trade surpluses and buoyant growth subsequently.